A policeman hit a man with a baton several times as he tried to stop him assaulting him, a court heard. PC Wilford and a colleague were approached by Shaun Randall after they were called to reports of a domestic disturbance in Atherton on December 14. Wigan magistrates were told Randall, 24, of Chaucer Grove, Atherton, walked down the middle of the road to their police car. Alan Bakker, prosecuting, said Randall was waving his arms around and shouting: “Here I am boys, come and get me.” When the car stopped, Randall punched a window several times but it did not smash. PC Wilford opened the door and put his foot on the pavement, but Randall kicked the door into his legs, causing pain to his shin and knee. Randall kept shouting at the officers and PC Wilford chased him as he ran down the road. He threw a wheelie bin towards the officer, the court was told. He said Randall threw a punch at PC Wilford and he felt he had no choice but to strike his legs twice with the baton. Randall grabbed the officer’s body armour and tried to punch him, so PC Wilford again hit him on the leg with the baton and he fell to the ground. PC Wilford tried to put a wrist lock on him, but Randall kept shouting at him. Mr Bakker said: “Because the officer felt there was potential for further assault, the officer again struck him.” More police arrived and Randall was restrained. He admitted assaulting PC Wilford in the execution of his duty when he appeared before the court. A probation officer said Randall had an alcohol problem which had started when he was 14 and he had been getting help from Recovery Academy for five months. Mr Carlin said Randall had shown remorse and had no previous convictions for assault. Magistrates handed him a six-month community order, with a 15-day rehabilitation activity requirement and a curfew from 7pm to 6am for 12 weeks. 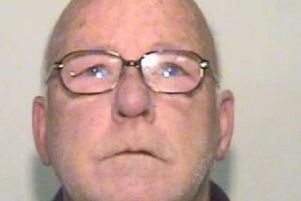 Randall was told to pay £85 costs and an £85 victim surcharge.